Make Direct Energy your Maryland gas and electric company, and trusted home services provider for electricity, plumbing, electrical, and HVAC services. New residential customers only. Provisioned smart meter required. Certain eligibility requirements, fees, taxes, terms and conditions apply. ©2019 Direct Energy. All rights reserved. You have the power to choose your electricity and natural gas supplier in Maryland, and we at Direct Energy want to help. We provide rate stability with a variety of electricity and natural gas rates for your home. We also offer dual fuel products to help you save even more. Choose Direct Energy as your energy provider in Maryland, and rest easy knowing that we're going to take care of you. 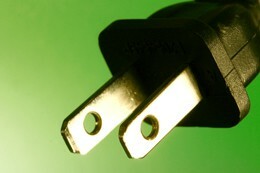 We have many electricity and natural gas prices and plans to fit your needs. What you won't find are electricity and natural gas rates that change with the seasons. Your home is your most valued investment, and you deserve the best communication about all the work being performed in your home. Whether it's HVAC, electrical, or plumbing work, Direct Energy has the electricians and plumbers in Maryland who will take the time to explain what's going on and answer all of your questions. 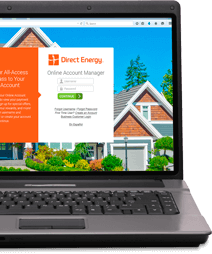 Direct Energy's Online Account Manager helps you gain access to important information with your energy account. View your bill, explore new products and special offers, and more! Your home shelters what matters most. 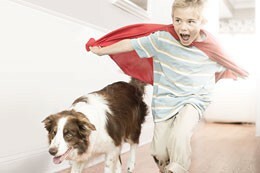 We have customizable protection plans to meet your needs. It's time to go green in the Bay State! Choose either 12 or 18 months of fixed-rate renewable energy and show off your love for the environment! You've got energy options in Maryland! And we're proud to be one of them. Thanks to deregulation in Maryland, you're able to shop around for the perfect electricity or natural gas rate for you and your budget instead of being limited to only your utility company. Check out Direct Energy's variety of electricity and natural gas plans to find the right one for your home! When you join our communities on Facebook, Twitter, Instagram, Pinterest, YouTube, and LinkedIn, you'll enjoy the latest industry news, updates for our customers, relevant weather information, and energy efficiency tips. Be on the lookout for fun games and promotions on our page too - there's always something fun going on with our social media accounts. We're honored to service the homes of the men and women in our military communities. With Direct Energy's Military Savings plans, you'll enjoy an exclusive discount on electricity service for your home. It's our small way of saying thanks for your service.